Typically, when we think of the kinds of people who fly on private jets, it is celebrities and government officials who immediately come to mind. And honestly, when it comes to those who actually own them that is usually the case. Private jets are not cheap and so they do tend to be associated with the lifestyles of the rich and famous. You can avoid all of the “airport traffic”. Sometimes, it’s not the actual commercial flight that we want to avoid, but all of the hustle and bustle that tends to go on in the airports. When you take a private jet that leaves out of a smaller general aviation airport, you don’t have to wait in line at the checkout counter or go through the headaches of the security checkpoints. You can take a straight flight. As the price of fuel continues to be fairly costly, it’s pretty hard to find a flight that doesn’t have at least one layover. When you book a private jet, it will take you straight to where you want to go. As a matter of fact, due to this convenience, you can even fly to more than one city in a day if you need to. Most of us have traveled on a commercial flight for so long that we probably haven’t even stopped to think about how close we are to complete strangers for hours at a time as we’re traveling to our destinations. Sometimes being that cramped can be extremely uncomfortable. However, with a private jet, there tends to be more room to stretch out and relax. A big part of the reason why famous people opt for private jet travel is because they like the level of privacy that it affords them. Going this route means that the only people who know when and where you are going are the ones you told and/or invited to join you. It’s a great way to hold uninterrupted meetings. Also, many come with the kind of accommodations to where you can listen to music, watch movies or satellite television and even stretch out on seats that are more like beds so that you can take a much-desired nap. You don’t have to wait once you land. 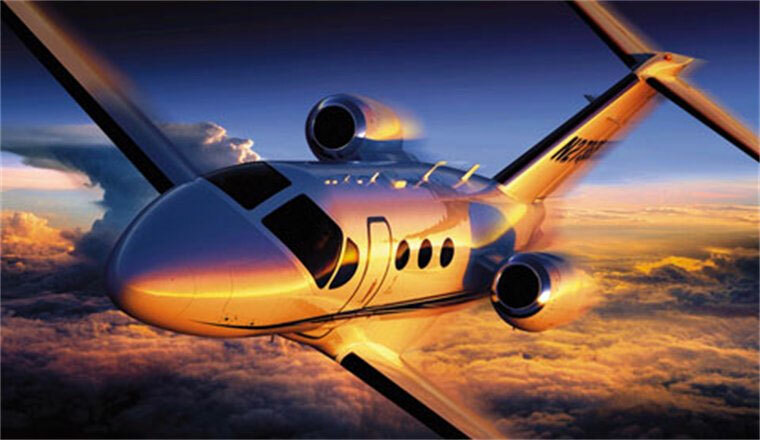 If you go to website for worldwide private jet prices, another benefit that you will probably see on many of them is that when it comes to landing, you don’t have to wait. That’s because the aircrew is able to call ground transportation to schedule a landing time where you don’t have to wait behind commercial airplanes. That way, you can get immediately off of the jet and onto wherever you need to go with no interruptions. For many, that’s worth every dime that charting a private jet costs them.